During the initial design stages, the TC9 was primarily envisioned as a cargo vehicle. However, in order to help gain a wider market appeal for their concept, Loratus Manufacturing decided to redesign the vehicle for use in combat. They did so by adding an improved sensor array, two forward facing heavy blasters, and a more powerful engine. With these additions, new investors became interested in the vehicle and the potential it promised. Initially, this lead to a promising release by Loratus Manufacturing, however the vehicle’s positive reception soon waned. Seeking other ways to make their product successful, Loratus decided to release the blueprints to their fellow vehicle production companies, seeing more financial promise in allowing others to develop the product further. Due to the versatility that the TC9 offers, it has become popular with paramilitary groups of all types for quick, strategic missions. 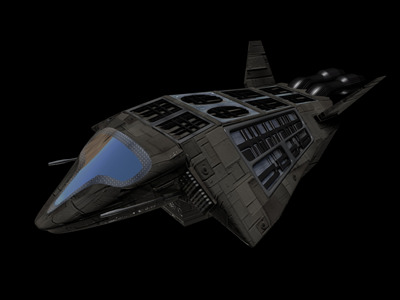 These groups, as well as other similar parties, are often interested to see what possible modifications could be made to the hover transport next, allowing the vehicle to retain a place on the galactic market despite more popular competition.